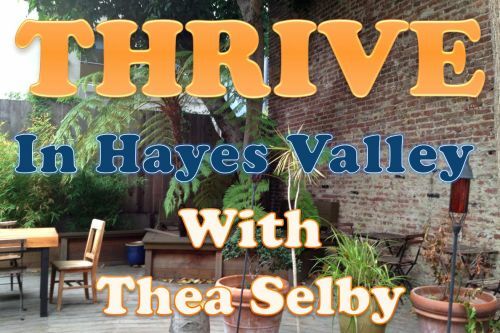 Come meet the neighborhood candidate for District 5 Supervisor, Thea Selby! We'll be enjoying Happy Hour at Sugar Lounge, followed by a garden party at kappa zakka. Hosts include Trent Berry and Sven Wiederholt. Art will be presented by Hayes Valley resident Philippe Jestin, among others. 7:00pm: Garden Party at kappa zakka, 460 Grove (between Gough and Octavia) — you can see a peek of K.Z. 's beautiful garden space in the picture above. Come kick up your heels with us!